Paid entry into the God Water 5K goal race in Schererville, IN on Saturday, May 18th. Most importantly, you will have the camaraderie of others just like you! On Thursday, February 28th at 6 PM there will be a sign up/informational meeting that we encourage you to attend. You will meet your coaches and other participants and learn about the details of the program. Come out even if you want to learn more but are not signed up! No Boundaries is a beginner level training program designed for folks who are currently inactive, who are new to running or walking or who are working to get back into running/walking condition. 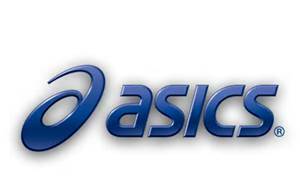 This is a nationally organized and recognized program that is sponsored by ASICS and Balega and offered at Fleet Feet Sports stores across the country. Thousands of runners and walkers across the country have trained to complete their first 5K event through this program. We are proud that hundreds of these folks are from our Fleet Feet Schererville program! No Boundaries is a year-round program that we offer at Fleet Feet Sports and you can participate in one session or several sessions! We have many people who come back for several sessions, or "graduate" on to some of our other program offerings! The training group runs will be held on Saturday mornings at 9 AM and on Thursday evenings at 6:15 PM at Fleet Feet - Schererville. For more information, please call 219-864-1000. Program sponsored by ASICS, BALEGA, Athletico Physical Therapy and Motus Integrative Health .